For some time now I have been contemplating retirement with singular focus. My requirements are modest but particular. For one, I intend to continue living in the cosy, two-storey red-brick, rat-and-mouse-proof house by the canal which I acquired for next to nothing in my mid-to-late twenties during an immoderate slump in the property market. In spite of the life of reluctant employment I have led, I will not be lured by idleness. 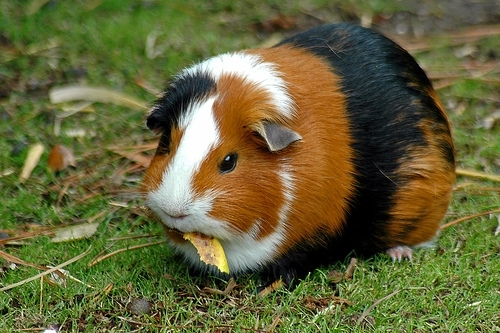 I will occupy myself with both a vegetable patch and herb garden and feed the fruits of my daily weeding to my guinea pig, Rupert and his rabbit friend, Baltishar, who will munch dandelion leaves in amicable silence while gazing at me adoringly. I will cultivate my faculties by daily mastery of the ancient Arabic scripts, having established firm mastery of the basics in quarter life. In the attic will be housed a superior telescope where I will while away long nights in contemplating the stars. I willl engage in late rebellion by smoking hash for the first time, and by taking part in an extreme sport. Though it may seem uber-efficient- given my care-free lifestyle- I might take hallucinogens on the occasion of my first parachute jump. I will enjoy in equal measure my subscription to New Scientist and to Rolling Stone. I will engage in risk-taking behaviour on account of having achieved longevity, which fear of failing at, had held me back before. (Details of my quarter-life crisis can be found here). If LSB has had enough of me, I will become promiscuous. Speaking of LSB, we are taking the train to Sligo in the morning for a jaunt in the northwest and for some time to ourselves, for the first time in aaaages. I hope that the mytho-poetic landscape there will inspire me to finalise plans for my retirement. This entry was posted in Columns and tagged Humour, Life, postaweek2011, retirement, Sligo by Kate Katharina. Bookmark the permalink. I have my privacy settings on high, ledgecake! If you play your cards right, you’ll get your Christmas tree in the outhouse. We would be the sassiest sistas in town! Am open to relocating to Bavaria btw, if your work brings you there. Might even turn into a skank yank..
Great retirement plans you have there! I did entertain such thoughts before in my idle days – i think time and tide has turned me into a cynical being and these carefree thoughts doesnt seem to stand a chance in my puny, practical, too realistic brain these days! Listening to your writing is like dancing Kate. Vibrant and free. Well done. Thank you so much for reading. I know that I have a lot of practice to do before I can contemplate writing something bigger and your encouragement means an awful lot to me!